Recklinghausen-based SWARCO VESTGLAS, formerly known as VESTISCHE STRAHL- UND REFLEXGLAS GmbH, has been a part of the SWARCO group since 1978. The dynamic history of the company dates back to 1948. At its former location in Gelsenkirchen, VESTGLAS produced glass household goods and technical glass products. In the early 1960's a paint producer, Prof. Kurt Herberts, took over the company and built up an exclusive sales organization with the North American glass bead producer Flexolite. Years later a production facility for micro glass beads was built in Recklinghausen and the Flexolite Europa GmbH (50 % Flexolite, 50 % VESTGLAS) was born. Flexolite's direct engagement in Europe ended in 1974 and in 1978 Manfred Swarovski took over 100% ownership of VESTGLAS. The integration of VESTGLAS into the SWARCO group was a valuable addition to our primarily traffic safety oriented holdings. In the course of a few years, VESTGLAS became the central production site for micro glass beads for reflective road markings and various surface treatment technologies within SWARCO. SWARCO VESTGLAS serves clients in Germany, the Benelux countries, Scandinavia, Great Britain and France. Its international activities expanded in the 1990's with equity partnerships in two companies in Saudi Arabia that brought glass bead and thermoplastic production know-how to the Middle East. 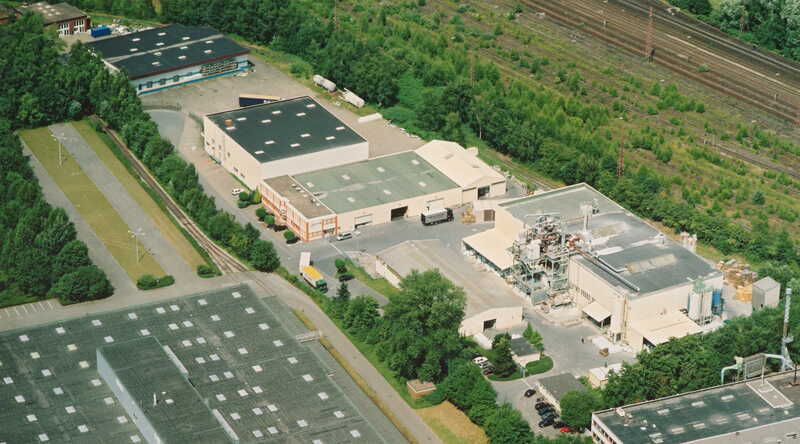 In 1998 SWARCO VESTGLAS began its own thermoplastic development and production in Recklinghausen. The road marking material is available as powder to be melted on board a road marking machine. Meanwhile the company also produces practical preformed thermoplastic markings branded EUROTHERM. Besides the glass blasting bead and granular glass products, SWARCO VESTGLAS offers its large industrial client base a broad blasting media program that includes corundum as well as natural blasting media like nutshell granules, corn cob shot, and synthetic granules. Cleaning, deburring, matting and peening are only a few processes where such media can be applied.